A New Zealand school has come up with a “novel” way to increase student focus, reduce bullying, and decrease vandalism: it has eliminated all of the silly rules and restrictions governing behavior during school recess. Because kids now get to do things like ride scooters and skateboards, they develop a better appreciation of risky behavior, too. And, the school has been able to reduce the number of teachers monitoring the playground and get rid of the dreaded “timeout” area. This result shouldn’t be surprising — it’s just a return to the way things used to be in every American school. Kids are full of energy and need to burn it off. If they don’t get to do it during recess, they’ll find some other, probably less positive, outlet for release. I’m guessing that the New Zealand school will see other benefits that become apparent over time as well. Because kids can do what they want, they are more likely to be active and therefore less likely to join the ranks of the morbidly obese. Because kids won’t be constrained by adult notions of proper recess behavior, they’ll be more creative and more willing to work with their classmates in coming up with new games and contests to fill their recess time. 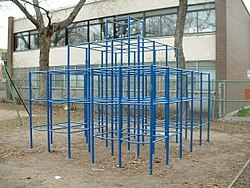 When I was young, recess was fun precisely because it was entirely unstructured: you got to do what you wanted, without having to follow dumb rules or sit quietly at a desk. We made up games, hung upside-down from monkey bars, swung on the swings as high as we could and jumped off, and ran around yelling for the sheer fun of it. We survived, and our playground chaos didn’t have any effect on our classroom performance. I wish more American schools would adopt the Kiwi’s “hands-off” approach to recess and let kids be kids. And We Wonder Why We Have A Childhood Obesity Problem? In case you wondered, paternalism and fears of liability for potential injury will trump generalized health concerns about obesity and lack of exercise every time. Want proof? Consider Weber Middle School in Port Washington, New York. School officials are concerned that kids are getting injured during recess. So, they’ve taken a proportionate response — they’ve banned footballs, baseballs, lacrosse balls, and any other object that might conceivably hurt someone. Oh, and tag also is banned, as are cartwheels. Presumably, even more violent games, like “red rover” and “smear the queer,” were banned long ago. How ridiculous we’ve become! 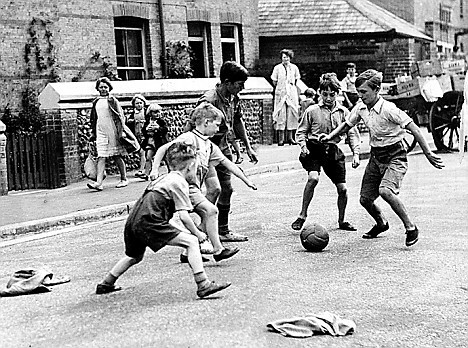 Generations of kids somehow managed to survive throwing a football or playing catch during recess. It was a good way to get some fresh air, blow off steam, and have some fun with your school buddies. Kids got some exercise in the process and came back into their classrooms with a little less energy and a little more ability to focus on algebra and chemistry and civics. The school says it just wants its students to be “protected” in the wake of a rash of injuries. I’m sure that’s it — and there’s probably a desire to avoid potential lawsuits brought by angry parents, too. When I was a kid, no parent would even dream of suing their public school district, and no lawyers would consider taking such cases, either. Falls from the jungle gym and the occasional broken collar bone were just accepted parts of growing up. No longer! We wonder why we have obese kids? We are so protective of youngsters that we take all of the fun out of play — and in the process make kids less and less likely to get any meaningful exercise. If you can’t play physical games, why not just retreat into your video game world where your digital counterpart can at least have some fun? Our paternalistic society is doing a tremendous disservice to our kids.